Welcome to Zimmerman & Wallace! Zimmerman & Wallace, a professional corporation, has been meeting Alaskan legal needs since 1982 across the Last Frontier and beyond. Although our main office is in Fairbanks, we represent clients throughout the state - from Ketchikan to Anchorage, from Bethel to Barrow, and in the many smaller communities in between. We have tried cases not only in state and federal courts in Fairbanks, but also in Bethel, Kenai, Barrow, Delta Junction, Tok, Juneau, Palmer, Anchorage, Ft. Yukon, and Ketchikan. We are a "general practice" law firm. 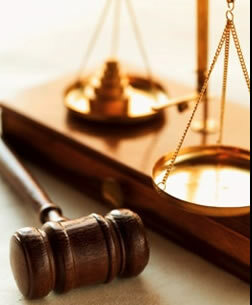 We strive to provide the best possible representation for you, whatever your legal needs might be. We handle many areas of law, including but not limited to criminal defense, family law, contract and commercial law, and personal injury. Our goal is not only to provide speedy, just, and efficient legal services to you, but to do so with courtesy, respect, and the highest ethical standards in the profession.